Are you looking for a fun day in the park? Don’t forget these essentials and of course, you’re furry friend! Items from left to right: Gucci 3502/S sunnies $345, Klean Kanteen in reef blue $19.95, Old Navy white button-back 3/4 sleeve pullover $19, Le Sport Sac 7008 travel tote in electraflower print $98, J. 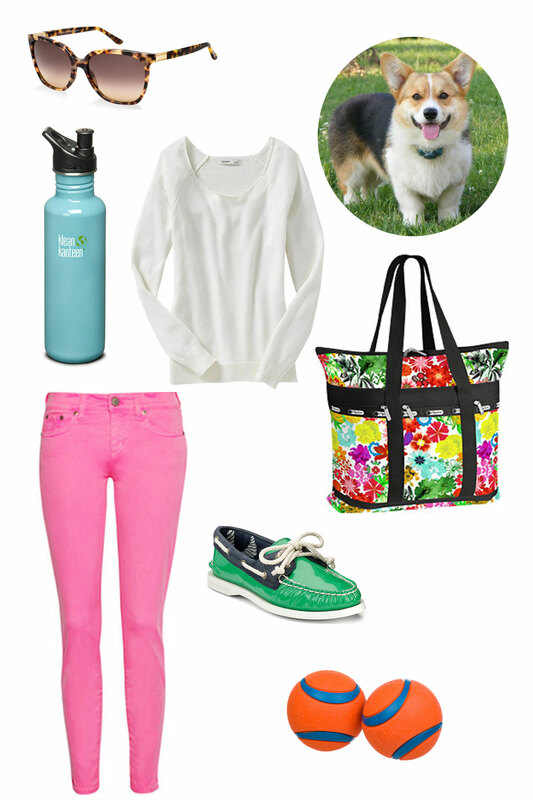 Crew pink toothpick jeans $125, Sperry Top-Sider boat shoe in kelly green patent $90, Chuckit! ultra ball dog toy $7. *Items available at: sunglasshut.com, kleankanteen.com, oldnavy.com, lesportsac.com, net-a-porter.com, sperrytopsider.com, and petco.com. Looking for something classy to wear for a night out in the city? We’ve got you covered with a sweet, girly outfit that fits and flatters many different types of girls. This look requires you to go all out girly-vintage. We suggest long dark lashes, a perfect red pout and soft flowing 1940s inspired hair. Featured: Milly D’orsay floral jacket $225, Jimmy Choo Siskin heels $895, Zara chewing gum crossover dress $60, Banana Republic Claudia python clutch $80, M.A.C. Russin Red lipstick $14.50, Simply Vera Vera Wang flower earings $12.60. *Items available on: Net-a-porter.com, Jimmychoo.com, Zara.com, Bananarepublic.com, Nordstrom.com and Kohls.com. Author alyknowsbestPosted on June 2, 2012 Categories UncategorizedTags Banana Republic, dress, girly, Jimmy Choo, Kohls, M.A.C, Nordstrom, pink, red lipstick, Vera Wang, Zara2 Comments on Summer Night Out! 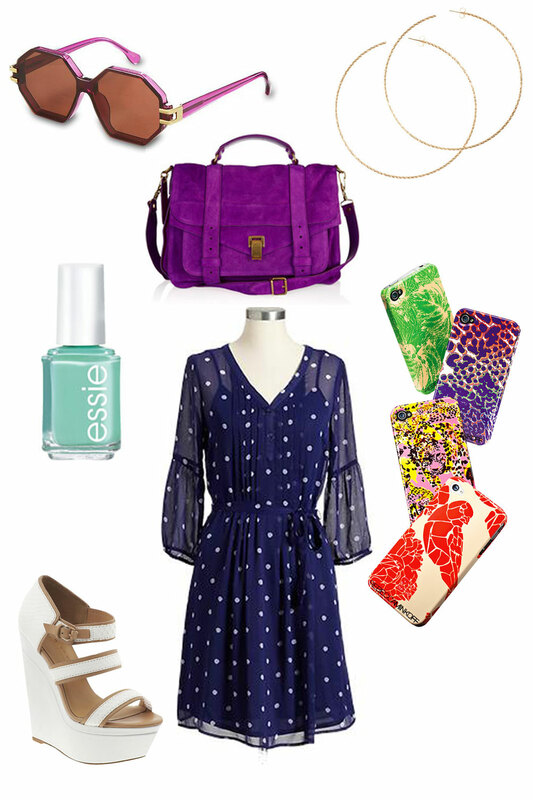 Elizabeth and James Pink Anza sunnies $265, Proenza Schouler Suede Satchel $1,995, H&M Gold Hoops $2.95, Essie Nail Color in Tropical Aqua $8, Old Navy Polka Dot Dot Dress $25, Rebecca Minkoff iPhone 4S Cases $38, L.A.M.B. Inesa Wedges $345. *Items available on Nordstrom.com, Oldnavy.com, net-a-porter.com, piperlime.com, hm.com and walgreens.com.